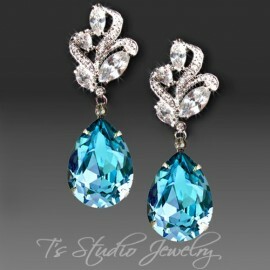 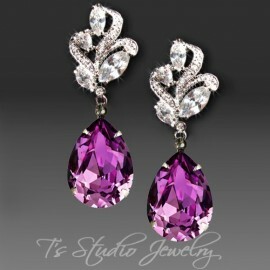 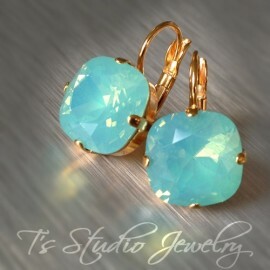 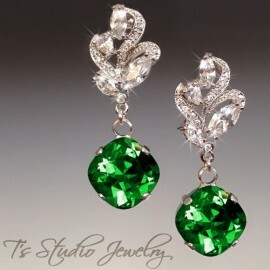 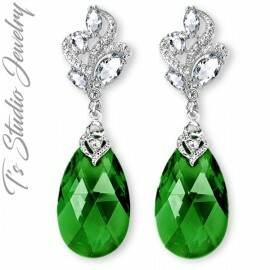 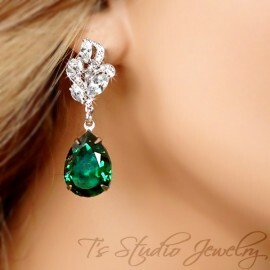 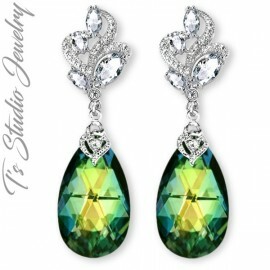 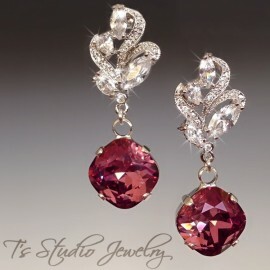 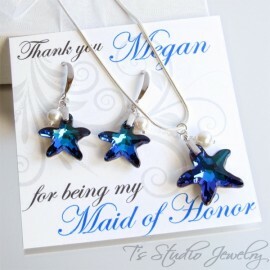 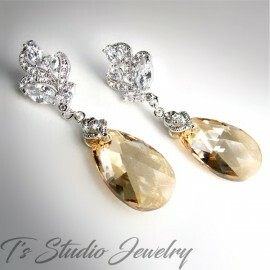 These earrings are the perfect accessory for a bride, bridesmaid, or just a pair of jeans. 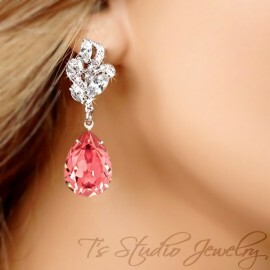 They are absolutely gorgeous! 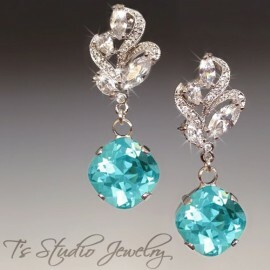 The colors in the peacock stones are so hard to photograph, they are a blend of navy, blues, teal and green. 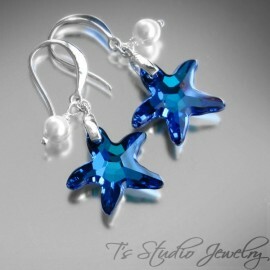 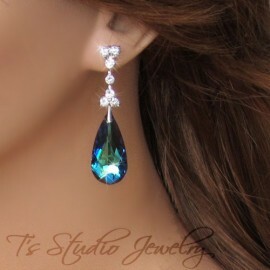 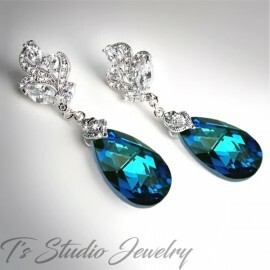 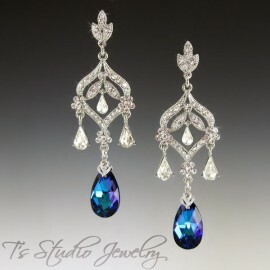 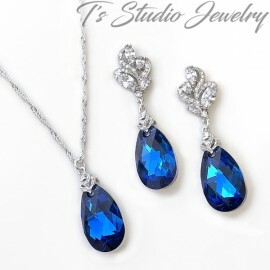 These chandelier earrings are made with Peacock Blue Swarovski crystals, but are available in a large selection of colors. 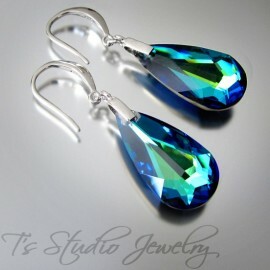 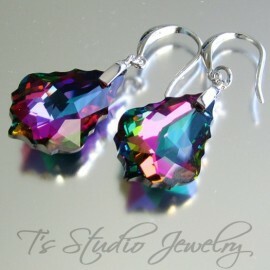 Please see color chart and choose desired crystal color upon checkout.